The Parker IM promises to impress, with a sturdy all-metal construction producing a high-quality weight and feel. Finished in shiny powder pink lacquer and decorated with a lined pattern, this rollerball is hitting all the right style notes as well. A must-see for anyone shopping for a new pen. 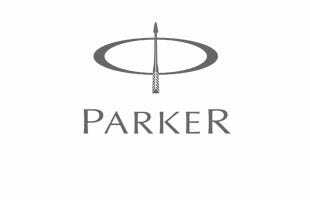 The Parker Pen Company has a prestigious history spanning over 100 years since 1888. Established in America they are now a worldwide brand and manufacturer of top quality pens. Choose the Sonnet for fountain pens with lots of nib widths. Looking for a best seller? Pick the IM range. Available in fountain, rollerball and ballpoint, you can buy individually or as a set. Even with our in-house engraving service these pens won’t break the bank. Buy into the Parker heritage with the Duofold, inspired by the 1921 original. Bought as part of a graduation gift.The recipient loved it The box was smart and the pen looked expensive and a suitable gift .